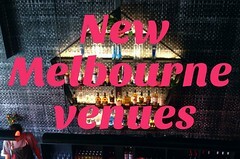 melbourne gastronome: Rice Queen: more than a camp-bitchy name? Broadly speaking, on a scale of 1 to 10, how offensive is the term rice queen in gay circles? When used by some white gay men, I think it is used as a pretty objectionable term to imply that sexually desiring Asian men is something to be ridiculed or pitied. However, to solely fetishise wo/men of a particular race is also problematic. D: "As with everything, context is king. Was the term used as an insult? Or an attempt at 'humourous' self-description? Either way, it necessarily involves a (real or imputed) fetishisation of the ethnic other." D: "Exactly. And it also buys into the problematic practice of racist sexual stereotyping." After a bit more email back and forth in a similar vein and further pseudo-academic banter with DJ, I decided it would probably be acceptable to visit a restaurant (sorry, an "Oriental diner and bar") named Rice Queen. I went along on Saturday night with best-friend-K, Miss G and Willski, stopping off first of all with b-f-K for a pre-meal drink upstairs at Panama Dining Room. Ooooh. 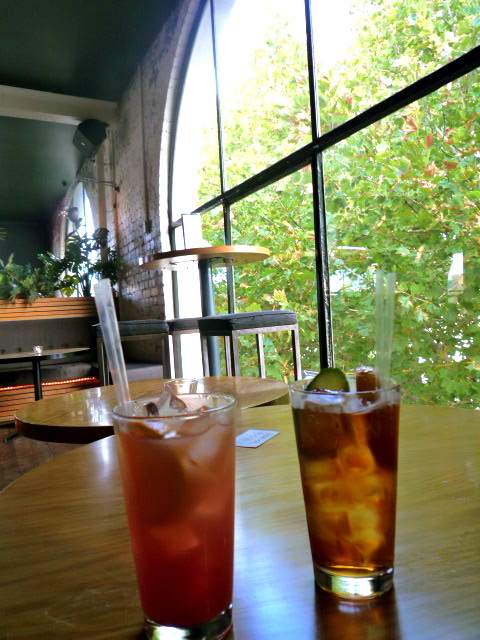 Campari and grapefruit, and Pimms and lemonade. 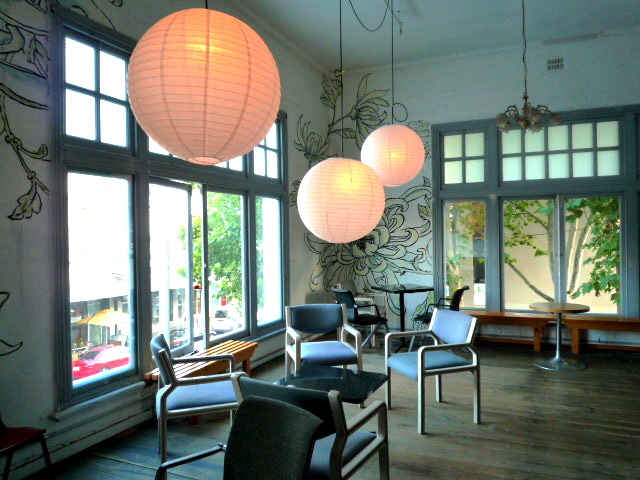 Panama habitués will recall that the floor below PDR used to be a latin dance studio. 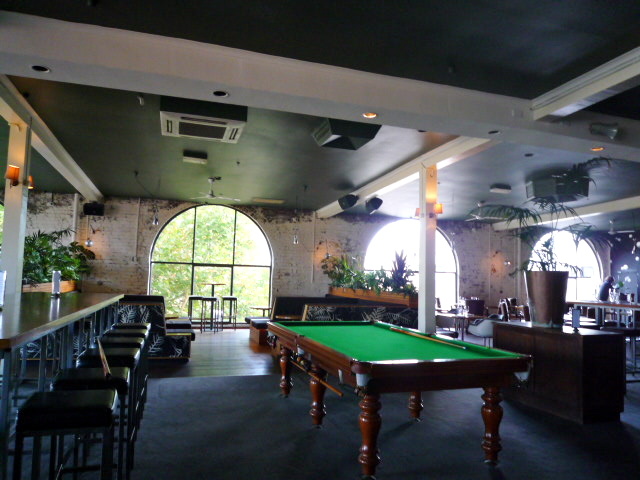 What is now the Rice Queen front room used to be the backstage area, and the RQ owners have retained the unvarnished floorboards and made it the bar area. It's a lovely space, I just wish they'd replace the chairs with less hideous/uncomfortable ones. ...and yeah, turns out my misgivings were well-founded. Jack of all trades, master of none and all that. The food wasn't BAD, just not terribly interesting or authentic. 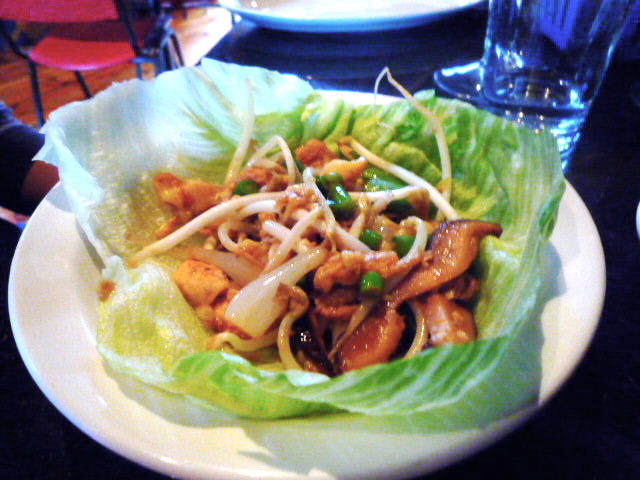 We started with a couple of silky bean curd san choi bow ($7 each) and masala dosa ($9 each). 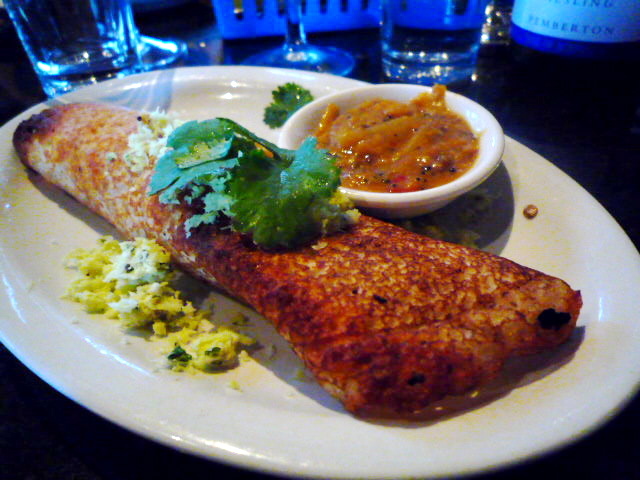 The dosa had nice coconut chutney and curried potato, but was a little chewy for my liking. 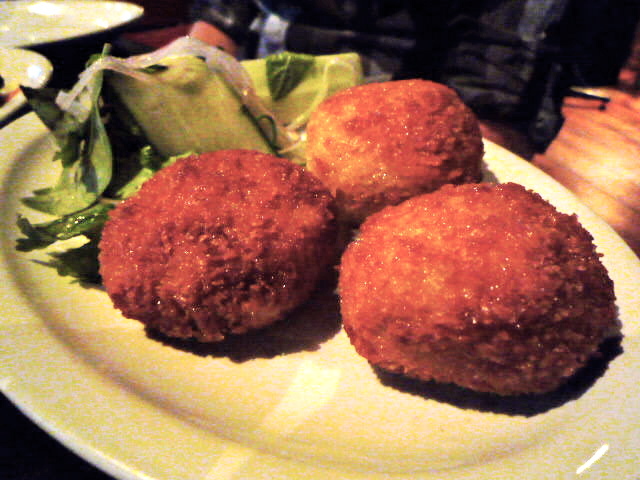 The $12 Thai fried rice cakes (basically Thai arancini with jasmine rice, beef and Thai herbs) were unsophisticated but quite tasty. 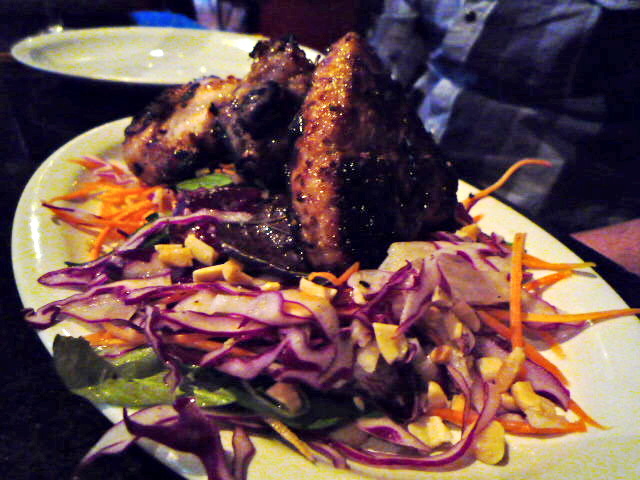 The grilled lemon chicken with a coriander spiced paste and served with a half-hearted coleslaw ($15) was disappointingly bland. 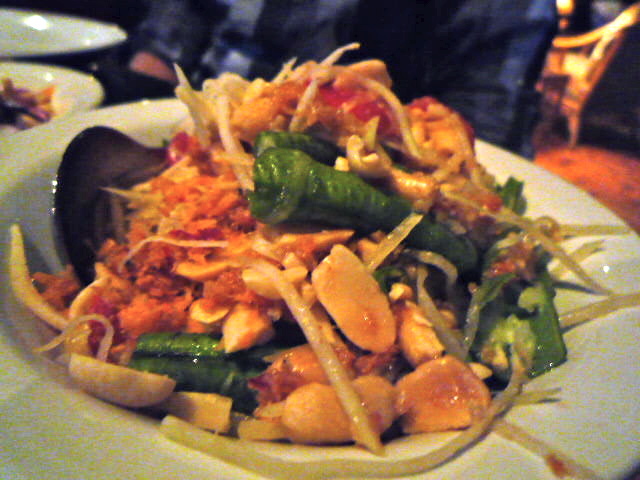 I did however quite like the shredded green pawpaw salad pounded with chilli, fish sauce, tomato and snake beans ($13) and the Sri Lankan vegetable curry with cashews, sambal and chutney ($12), but both dishes were crying out for a bit more kick to them. What's wrong with a good whack of fiery spice, I ask you? When Brian reviewed Rice Queen he mentioned the slow service. On Saturday night our food also took ages to arrive (over 25 minutes before the san choi bow and dosa came out), despite there being only six occupied tables in the whole place. It's got potential, but I really hope Rice Queen lifts its game by (a) speeding up the service, (b) getting some decent chairs in the bar area, and (c) taking a few more risks with the food, specialising in a cuisine and doing it well. Can someone let me know if it does? Great review... probably won't bother trying this one now though. Ps. I love the banner. 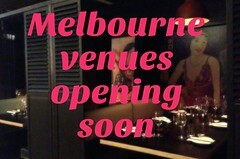 Glad you like the Melbourne Gastronome banner Amanda! All credit goes to the very talented Chris Zissiadis, whose photographs can be viewed here and here, and can be purchased here. Shame it wasn't that good!! Oh, and I find "Oriental" waaaay more offensive than "Rice Queen". Oh, and Chimes do the best thosai in Melbourne, IMHO. Hi Claire, it's good to see you eating your way along Smith St! Rice Queen is a bit underwhelming isn't it? It could be so much better, and the slow service is simply unnecessary. ps Agreed re "oriental", but that's what they're subtitling themselves as!! Great to read this - I was thinking of calling in to check it out but I will think again! Hey, you had so many hits, it seemed time for a miss. I disagree. I believe RQ is entirely awesome for what it sets out to be. This is a place where you can eat quality food,very cheaply and hang out in a convivial atomosphere. 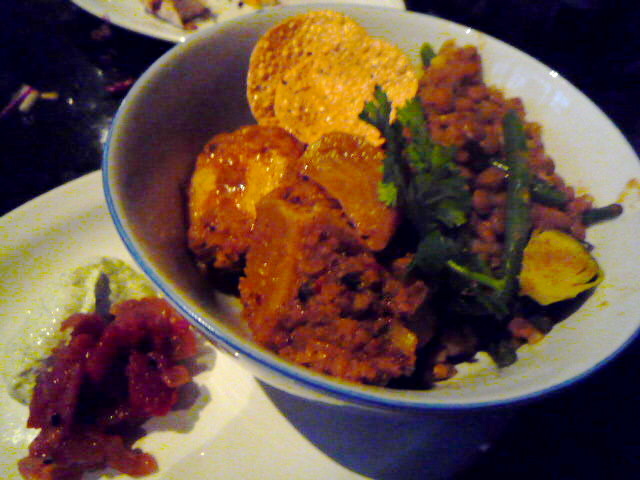 It is inspired by asian food and does not purport to be a faithful execution thereof. 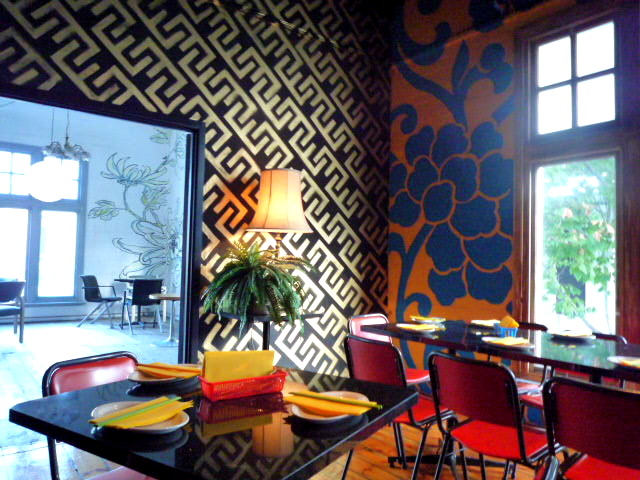 If you want authentic then go to Ying Thai or any of the places along Victoria St, Abbotsford or in Footscray etc. I think that you have entirely missed the point of Rice Queen. Yes we have all read the Edward Said book in the 70s and yes the term 'orientalism' was considered offensive in that time but this is not the spirit in which Rice Queen now positions itself. Perhaps do some research into how the name was determined by the owners. Don't be put off going to RQ by this review. I love Rice Queen and I think all new restaurants should be given at least 3 months to find themselves and iron out problems. We should celebrate anyone trying to do something different. It has been opened by some very experienced people and it is CHEAP. where can you eat so well for under $15? and not wake up with a thirst you could photograph from MSG? ( which I love and hate ). So try it for yourselves, the view is great, wines, location also. Who cares about the name? really? anyone? Hi Mazzawack: As I said in my review, I reckon Rice Queen definitely has potential - I just don't think it would hurt to take a few more risks with the food. But as for the name, I don't see how the intentions of the owners are really that relevant - the effect the name has on patrons and potential patrons is what counts, as they'll be hearing the name out of whatever context it was determined in by the owners. Hi Roger: Agreed that all new places need some time to find their feet. I'll be interested to see what (if any) adjustments are made. Oh, and yes you may disagree, but some people do care about the name. But the owners would have known going in that choosing a somewhat provocative name like Rice Queen would have an effect on some of us! You need to go back and revisit this now. It's had a difficult teething period but the menu is taking more flavor risks and I love the service now. However things get very very loud - both in music and packed house trying to talk over the top of each other. Try going around 7:30 during the week for the best experience.